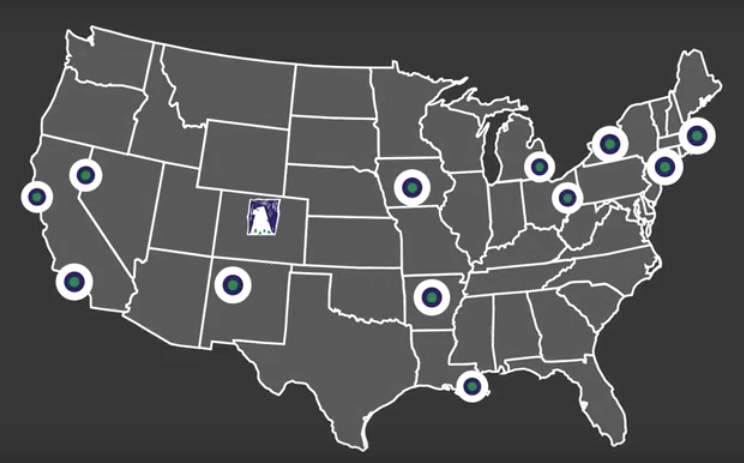 As Eagle Rock School’s staff members and students immerse themselves into the school’s 77th trimester, our non-stop Professional Development Center (PDC) continues its work in helping high schools across the country develop programs and protocols aimed at re-engaging youth in their own education. For decades, our dedicated Professional Development Center team has signed on to collaborate with progressive and innovative educators around the United States in order to enhance educational strategies and design. To achieve the objectives and goals these educational organizations have developed for themselves, our facilitation builds on the assets they already possess (we refer to it as asset-based facilitation). Princeton Program for Teacher Preparation, Estes Park, Colo.: Dan Condon, Eagle Rock Associate Director of Professional Development, along with Doen Lee, our 2018/2019 Fellow in Professional Development, are hosting Ally Markovich from the Princeton Program for Teacher Preparation here on the Eagle Rock campus. In this visit, Ally will have many opportunities to observe Eagle Rock School classes and learn about our educational practices for her own professional development. New Earth, Culver City, Calif.: Dan Condon will be facilitating an agenda to support a school start-up for New Earth, an organization that provides mentor-based arts, educational, and vocational programs that empower juvenile justice and system-involved youth to realize their full potential as contributing members of our community. 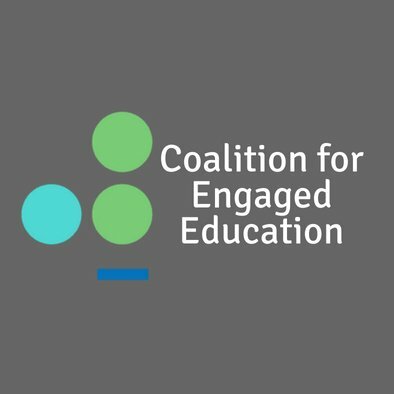 Coalition for Engaged Education, Santa Monica, CA: Dan Condon will be meeting with and supporting Coalition staff as they explore a teacher fellowship/licensure program similar to the one Eagle Rock has had in place since 2002. If you’re unfamiliar with their work, the Coalition for Engaged Education is a nonprofit 501(c)(3) organization that stands for the right of our most vulnerable youth to realize their full potential through relationships in academia that treat them with dignity and respect. iLEAD, Castaic, Calif.: iLEAD is a network of charter schools based in California that use project-based learning and social-emotional concepts to develop lifelong learners. iLEAD schools employ project-based, deeper learning to improve education. Dan Condon will be attending the organization’s late-January board meeting. John Muir High School, Estes Park, Colo.: Dan Condon and Doen Lee will be hosting eight visitors from John Muir High School in Pasadena, Calif., at Eagle Rock. During this visit, Dan and Doen will use an educational lens that allows the visitors to examine new approaches to serve the academic and social-emotional needs of students in order to support John Muir’s Early College magnet theme. New Tech Center for Excellence, Napa, Calif.: New Tech Center for Excellence provides project-based learning development, training and support. Dan Condon will be onsite working with the Center for Excellence’s director, Aaron Eisberg, on the organization’s theory of action. 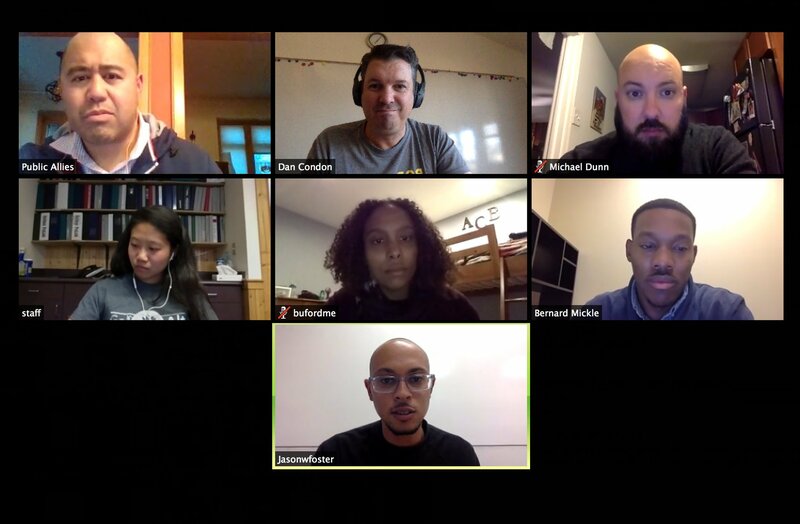 Public Allies, Inc., Milwaukee, Wis.: After a meaningful Success Analysis Protocol with a virtual Professional Learning Community, Dan Condon will be at Public Allies headquarters in Milwaukee to facilitate another protocol revolving around engaging disengaged youth using the Zoom conferencing platform. IHAD, Boulder, Colo.: Dan Condon launched Professional Learning Communities that focus on classroom practices for iHAD of Boulder and continues that work each month. iHAD supports low-income youth (Dreamer Scholars) by providing a long-term, comprehensive educational and cultural enrichment program from elementary school to post-secondary education. IHAD, Boulder, Colo.: Dan returns to Boulder to facilitate Professional Learning Community protocols related to classroom instructional practice for iHAD, which supports low-income youth in achieving higher education and fulfilling careers by providing academic and cultural enrichment programs. Harrison Central, Cadiz, Ohio: Anastacia Galloway Reed, our Professional Development Associate travels to Ohio to work with Harrison Central High School, a high school that promotes student success by holding high expectations for students and employing student accountability. Anastacia will be facilitating a session on student engagement. Jefferson County Educational Service Center (JCESC) Related Arts, Steubenville, Ohio: Anastacia returns to JCESC Related Arts to lead facilitation on differentiation in related arts. Anastacia has worked with the Jefferson County Educational Service Center (JCESC) Alt School for the past two years in supporting related art teachers across the seven school districts around the Ohio Valley. Jefferson County Educational Service Center (JCESC) Alternative School, Steubenville, OH:For the past couple of years, Anastacia has led Jefferson County Educational Service Center (JCESC) Alt School in developed trauma-informed pedagogy through a book study of the “Body Keeps the Score.” She returns to Ohio to continue that work. 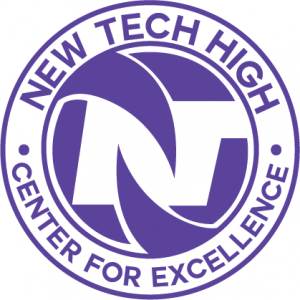 Toronto High School, Toronto, Ohio: At Toronto High School, Anastacia will facilitate a session on instructional strategies using Marzano’s pedagogy. Toronto High School incorporates cutting-edge technology to personalize learning and engage students. Council for Aid to Education (CAE) Spring 2019 Performance Task Workshop, Estes Park, Colo.: Eagle Rock will be hosting a Performance Task Workshop organized by the Council for Aid to Education. 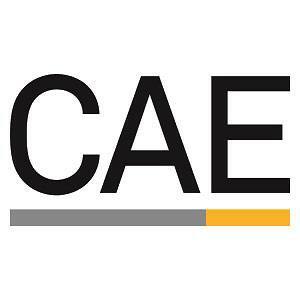 CAE’s performance assessments give schools and colleges highly reliable and valid tools to evaluate students, programs, and institutions. For questions, please contact CAE Partnership Development Manager Ashley Brailsford by email or by calling (212) 217-0850. New Earth, Culver City, Calif.: Dan Condon returns to work with New Earth on its new school startup. New Earth provides mentor-based arts, educational, and vocational programs that empower juveniles to become contributing members of their communities. iLEAD, Castaic, Calif.: Dan Condon returns to iLEAD to work with that organization on competency-based education. iLEAD, Estes Park, Colo.: iLEAD staff will be visiting us on our campus in Estes Park to delve into new work with its iLEAD in a Box initiative. Dan Condon and Doen Lee will facilitate the group through a process that accelerates the innovation of this online program. Flagstaff Unified School District, Flagstaff, Ariz.: Anastacia Galloway Reed continues to collaborate with the team spearheading the Alpine Institute, which, along with the Watershed Collective, is a magnet program within the Flagstaff Unified School District that provides an academically focused, place-based service learning educational opportunity for all of its students. IHAD, Boulder, Colo.: Dan Condon continues to facilitate Professional Learning Community protocols related to classroom instructional practice for iHAD of Boulder and continues that work monthly. iHAD supports low-income youth by providing its academic and cultural enrichment program. Robert R. McCormick Foundation, Chicago, Ill.: Dan Condon returns to Illinois to facilitate Instructional Rounds with the Foundation’s Democracy Schools Network. This trip takes Dan to Huntley High School in Huntley, IL. Editor’s Note: If you are interested in the professional development work pursued by and conducted at Eagle Rock, or if you want to know how your school or organization can connect with our team of talented professional development facilitators, please contact our associate director of professional development, Dan Condon, by emailing DCondon at EagleRockSchool dot org. This entry was posted in Professional Development Center and tagged Ally Markovich, Coalition for Engaged Education, Council for Aid to Education, Dan Condon, Democracy Schools, Doen Lee, Flagstaff Unified School District, iHAD, iLEAD, Jefferson County Educational Service Center, John Muir High School, New Earth, New Tech Center for Excellence, Princeton Program for Teacher Preparation, Public Allies, Robert R. McCormick Foundation, Toronto High School.